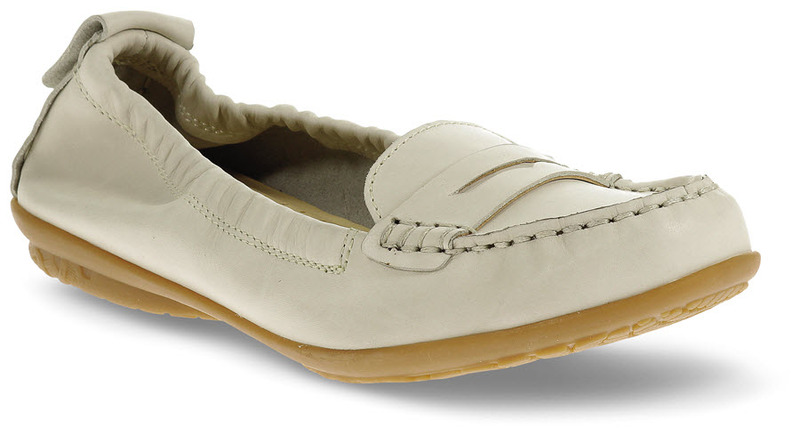 A foldable, unstructured ballet flat from Hush Puppies, the unlined off-white nubuck "Katherine Ceil" is designed to conform to your natural gait. The leather sock lining is padded with thick foam for added comfort. 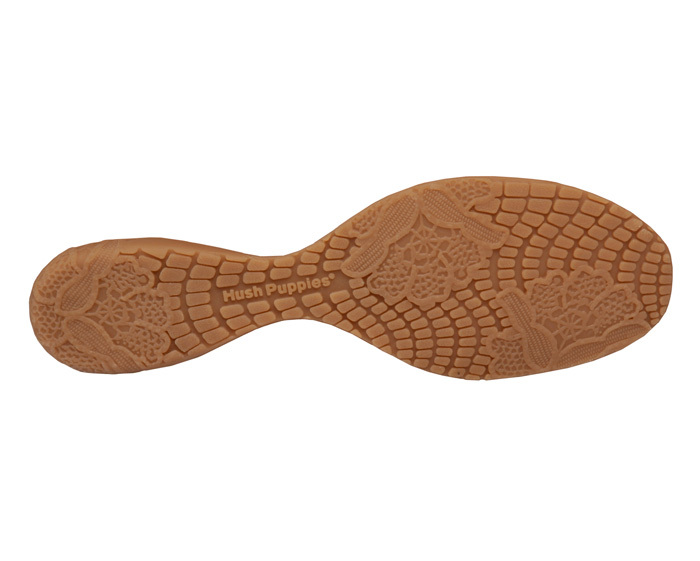 Molded TPR outsole. ON SALE! Originally $88.95. Limited stock in women's sizes in a generous EW (2E) fitting.